Summer Crenshaw is the COO/CMO and Co-founder of tilr, a technology that automates the recruitment process. And she listens to a much more diverse range of music that you would think. Mike Dwyer is an expert at using digital communication for recruiting and developing culture, especially in the tech start-up world. It probably helps that he’s also been a fixture in the improv scene in Chicago for over 15 years, especially at the Playground Theater. I call him Mikey Truffles based on a funny story that I heard second hand and we’ve run with it for years. He’s that kind of guy. Do you love a good conversation with a smart person who is doing interesting things? It's fun. It's invigorating. And for me, I find my best personal insights come from hearing what the other person is working on. I write and speak extensively about professional networking, and I think that most of us forget that all of our relationships are at their core...a collection of conversations. So join me as I chat with my favorite authors, entrepreneurs, artists, salespeople, and executives to find out what they're working on and thinking about these days. Whether it's their favorite craft beer or the lesson they learned while starting their business, it's always interesting and always entertaining. Grab a glass and join us! Bringing you a conversation in a virtual bar isn't simple, but I have some people that make it look easy! Colette D'Antona is our bartender - she's the one classing up the joint. She's also an amazingly talented voice-over and stage actress. Tom Couch is our producer-extraordinaire - he's the one making sure every episode comes together smooth as silk. He's an audio pro with years of experience and a highly-trained ear. 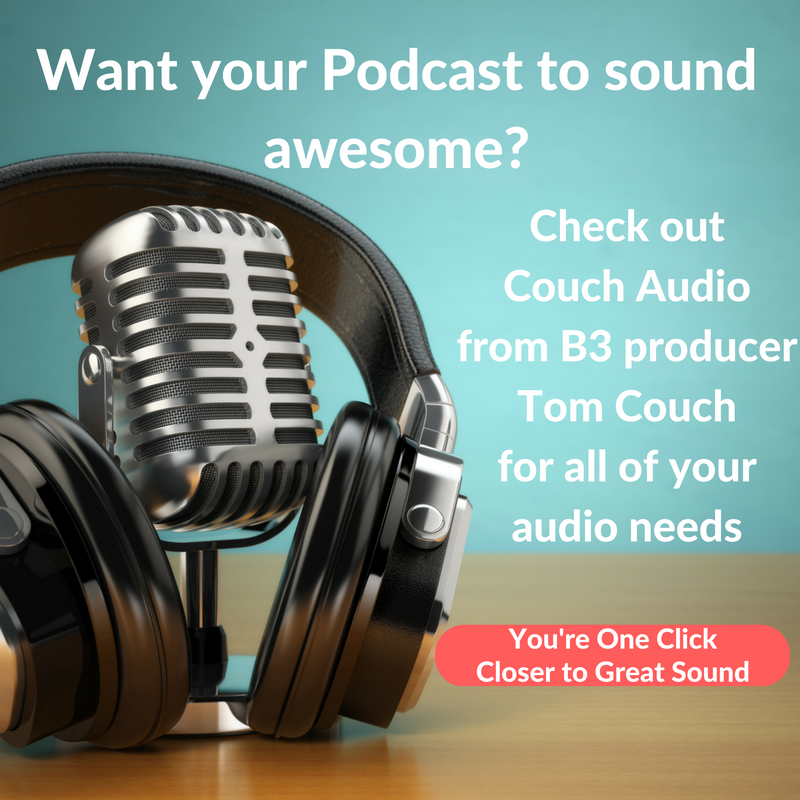 Are you a podcaster? Want to be?